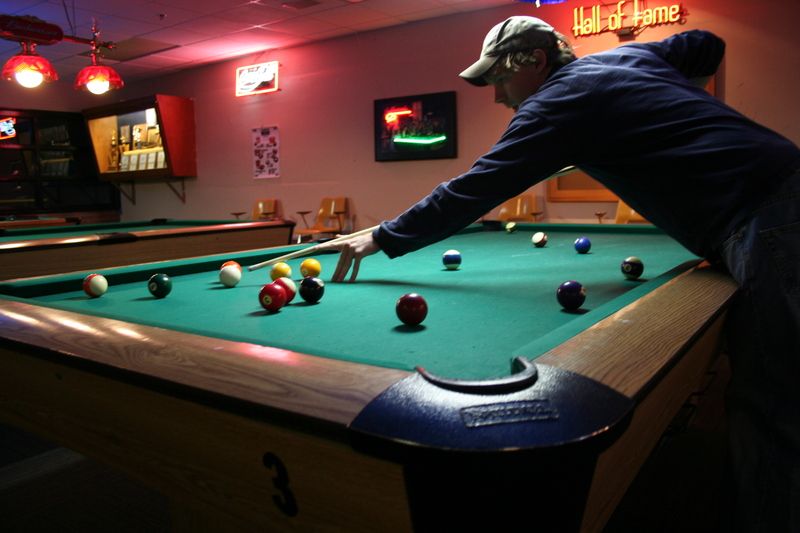 The owners of Sacramento’s Hard Times Billiards, located on Garfield Avenue at Auburn Boulevard, have lured some of the biggest names in professional pool to their tournament this week. Owners Michael and Karen Markulis knew that players would be cooling their heels between major tournaments in Los Angeles and Reno, so they strategically scheduled their competition between them. They also sweetened the pot, adding $7,000 in total to their prize funds. They expect to welcome the South Dakota Kid, Shane Van Boening, who already has earned $41,500 in a very young 2014. Other top players slated to play are the Ice Man, Mika Immonen of Finland; The Saint, Santos Sambajon of the Philippines; and England’s Darren “Dynamite” Appleton. Player entry fees of $60 each also go into the prize pool. The tournament is named in memory of him, the sixth annual Chuck Markulis Memorial Tournament. It begins Wednesday with two days of one-pocket pool, a slow, strategic game with the object of putting balls into specific pockets. Often likened to chess, the game is not as universally popular as nine-ball pool, and that is why Hard Times has scheduled its nine-ball games for the weekend. They start Friday and conclude with championship play on Sunday. For the second year in a row, a 40-room hotel in Truckee ranks second only to the Ritz-Carltonon U.S. News and World Report’s list of the 45 best hotels in the Lake Tahoe area. Jeff and Patty Baird’s tiny Cedar House Sport Hotel came out ahead of properties with much bigger budgets: Resort at Squaw Creek, Hyatt Regency Lake Tahoe and Harrah’s Lake Tahoe. The magazine evaluates industry rankings and assesses how travel experts and guests feel about each hotel before making its list. Back when Baird and her husband owned a construction design company, things would slow down in the winter, so they would go and ski in the European Alps, always staying at a tiny hotel where the owners ran the place and lived in it. They now live on the Cedar House campus, and CEO Patty Baird’s desk sits right near the hotel’s front desk. Despite light snow and an economic downturn, revenue for the couple’s PB&J Hospitality, the parent company for their hotel and the on-site Stella restaurant, has grown by 10 to 18 percent for the last few years. Baird attributed the growth to a business strategy focused on giving consumers a reason to visit regardless of the weather. They added Stella in 2010, two years after opening the hotel, and Chef Jacob Burton has foodies coming from around the world for cooking boot camps and lunch lectures. At the same time, they constructed an event center that has been popular for corporate retreats and weddings. Then, in 2011, the Bairds acquired the adventure company Tahoe Trips and Trails to create wilderness immersion programs. You may know that the Downtown Sacramento Foundation launched its Calling All Dreamers business plan competition last year and that the inaugural year got two businesses open at 800 J Lofts: Andy’s Candy Apothecary and The Dailey Method studio. But the contest had other, lesser-known impacts. It created three full-time and 11 part-time positions. A contest finalist from last year, Sun & Soil Juice Co. will open a store at 1912 P St. later in 2014, and 800 J Lofts has said the added exposure helped it secure a third tenant. Act quickly if you want to enter this year’s Calling All Dreamers competition, because entries must be received by March 3. Learn more at www.callingalldreamers.org.